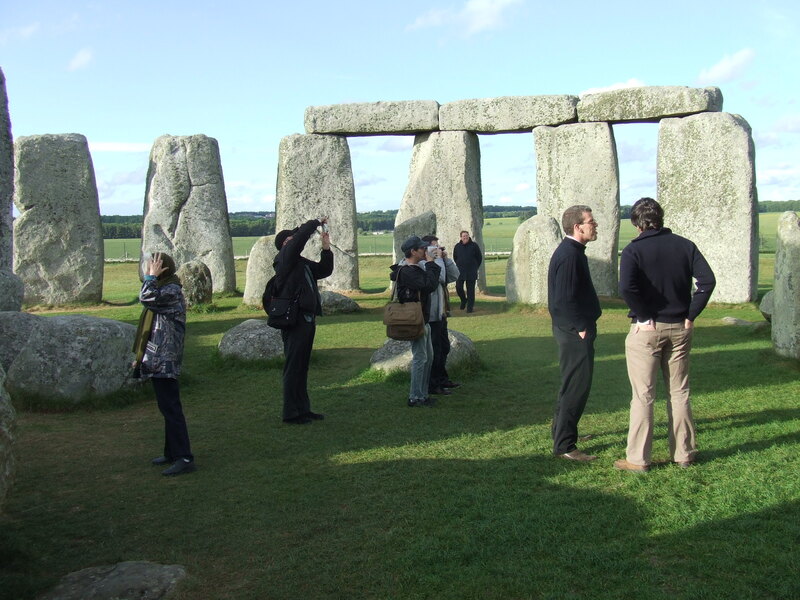 » Who Built Stonehenge ? The question of who built Stonehenge is largely unanswered, even today. 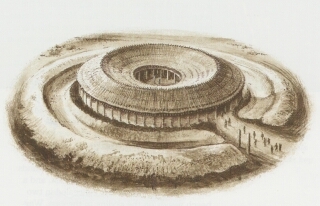 The monument's construction has been attributed to many ancient peoples throughout the years, but the most captivating and enduring attribution has been to the Druids. This erroneous connection was first made around 3 centuries ago by the antiquary, John Aubrey. Julius Caesar and other Roman writers told of a Celtic priesthood who flourished around the time of their first conquest (55 BC). By this time, though, the stones had been standing for 2,000 years, and were, perhaps, already in a ruined condition. Besides, the Druids worshipped in forest temples and had no need for stone structures. The legend of King Arthur provides another story of the construction of Stonehenge. It is told by the twelfth century writer, Geoffrey of Monmouth, in his History of the Kings of Britain that Merlin brought the stones to the Salisbury Plain from Ireland. Sometime in the fifth century, there had been a massacre of 300 British noblemen by the treacherous Saxon leader, Hengest. Geoffrey tells us that the high king, Aurelius Ambrosius, wanted to create a fitting memorial to the slain men. Merlin suggested an expedition to Ireland for the purpose of transplanting the Giant's Ring stone circle to Britain. According to Geoffrey of Monmouth, the stones of the Giant's Ring were originally brought from Africa to Ireland by giants (who else but giants could handle the job?). The stones were located on "Mount Killaraus" and were used as a site for performing rituals and for healing. Led by King Uther and Merlin, the expedition arrived at the spot in Ireland. The Britons, none of whom were giants, apparently, were unsuccessful in their attempts to move the great stones. At this point, Merlin realized that only his magic arts would turn the trick. So, they were dismantled and shipped back to Britain where they were set up (see illus. at right) as they had been before, in a great circle, around the mass grave of the murdered noblemen. The story goes on to tell that Aurelius, Uther and Arthur's successor, Constantine were also buried there in their time*. Wally Wallington has demonstrated that he can lift a Stonehenge-sized pillar weighing 22,000 lbs and moved a barn over 300 ft. What makes this so special is that he does it using only himself, What do you think ?